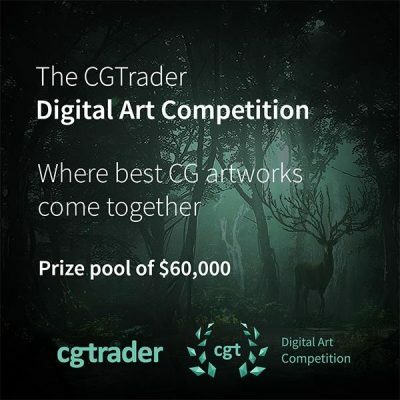 CGTrader, a company running an online 3D model marketplace, has just launched the Digital Art Competition, which invites all CG artists (both 2D and 3D): https://www.cgtrader.com/digital-art-competition ! There are no entry fees, and artworks do not have to be created exclusively for the competition, so feel free to show everyone your best and favorite works. For more details, visit the competition page and be sure to check out the Categories & Prizes section!